How do I create and assign a Position? Create and assign as many Positions as needed. Positions are only available with scheduling and be created by visiting Settings --> Positions. Once you've created your Positions your Employees will be able to select them when they punch in. 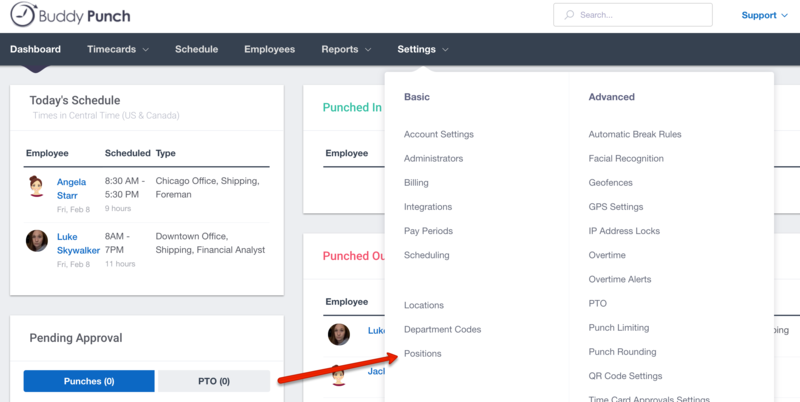 If only one Position is assigned to an Employee, there will be nothing to select when punching in as the Position will automatically be added. 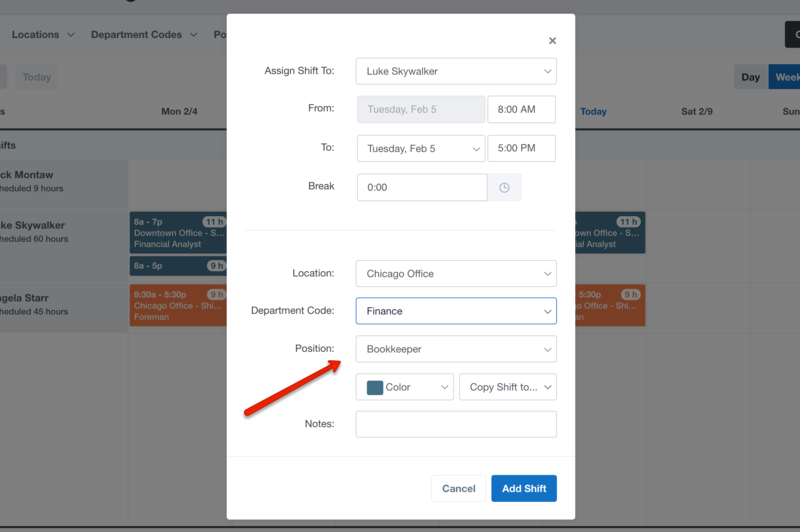 When creating a shift, there will be a dropdown available that allows you select a Position. When an Employee punches into their shift, the Position will be automatically assigned. The Position will show up on the employees time card as well as on your reports.